Gemma Rose Project: Poop Bags With a Purpose! Disclaimer: We received product and compensation in exchange for this review. The views expressed in this review do not necessarily represent the views of gemma rose project. Do you ever feel guilty while scooping your dog’s poop with a plastic bag, wishing there was a way you could be a little nicer to the environment while helping homeless pups? 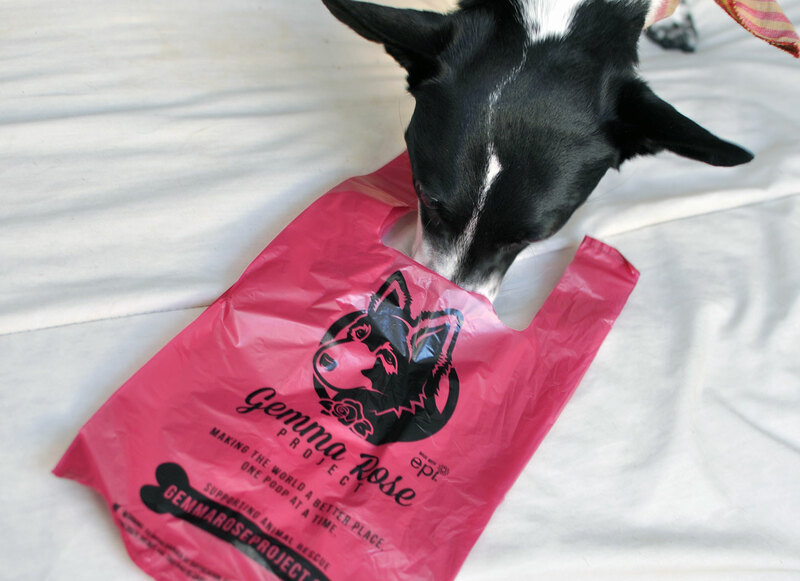 Gemma Rose Project’s poop bags are the solution! Keep reading to learn why we love these bags so much and how this new company is helping both homeless dogs and the Earth. What’s The Gemma Rose Project? Gemma Rose Project was inspired by Gemma (the face on the package! ), the founder’s stunning long-haired German Shepherd who was saved from a kill shelter in Georgia. It aims to raise awareness for similarly-fated animals as well as recognize the volunteers who devote their lives to helping them. A minimum of $1.00 per box sold is donated to a vetted and registered 501c(3) animal rescue organization. 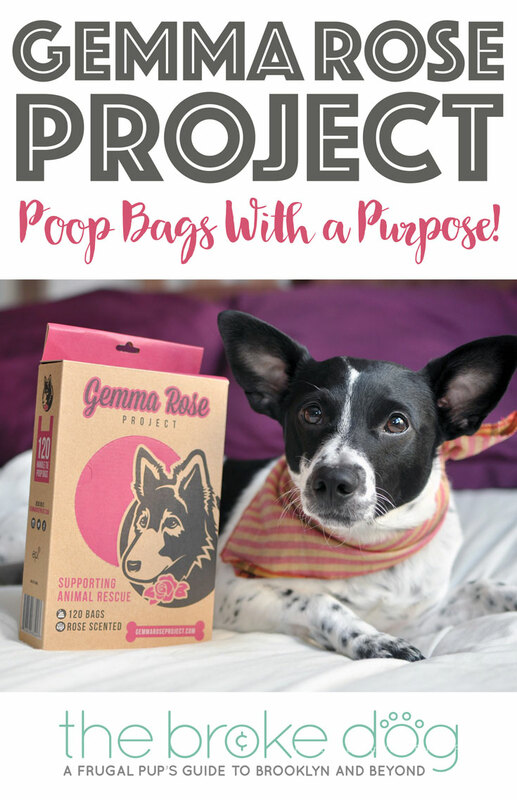 Henry and I had the chance to review the Gemma Rose Project’s poop bags, and we absolutely love them! Each pink poop bag is seven inches wide and thirteen and a half inches tall, and has two handles for tying. I grew up using plastic grocery bags to scoop my Border Collie mix’s poop, but they were too bulky. I would inevitably catch some air while tying the bag up, and felt ridiculous carrying a big “poop balloon” around the neighborhood. I thought I was fully converted once I started using roll poop bags for Henry’s walks, but the Gemma Rose Project’s handled bags are FABULOUS! They’re the perfect size, despite Henry’s small poops, and are so easy to tie and carry. Plus, something about the design makes them SO easy to open on walks — no more awkward licking my dirty fingers or fumbling. They won’t fit in my roll dispenser, but it’s easy to toss a few in my coat pocket. Unlike grocery store bags, these store flat instead of breeding in your cabinet until they take over your kitchen. Neat, tidy, and easy to use — no complaints! Some poop bags’ scents are overpowering and create crazy Franken-scents when combined with the poop’s odor. 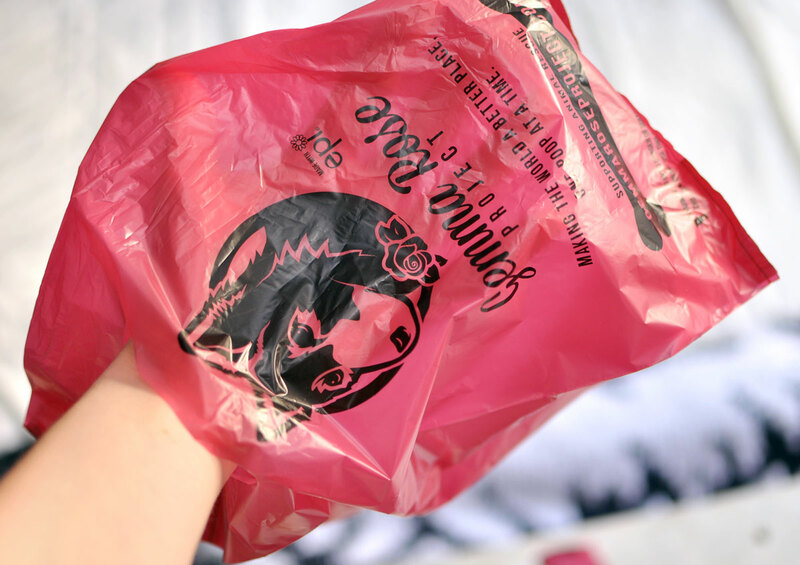 The Gemma Rose Project poop bags, however, are delightfully subtle! They effectively mask Henry’s scent instead of amplifying it. Unlike traditional plastic bags, Gemma Rose Project bags contain an additive produced by EPI (www.epi-global.com) which will break down via oxo-biodegration in the proper environment. In addition, their packaging is made from recycled materials and can be recycled after use. The Earth thanks you! Not a drop in sight! What’s the first giveaway that a poop bag is low-quality? It leaks! 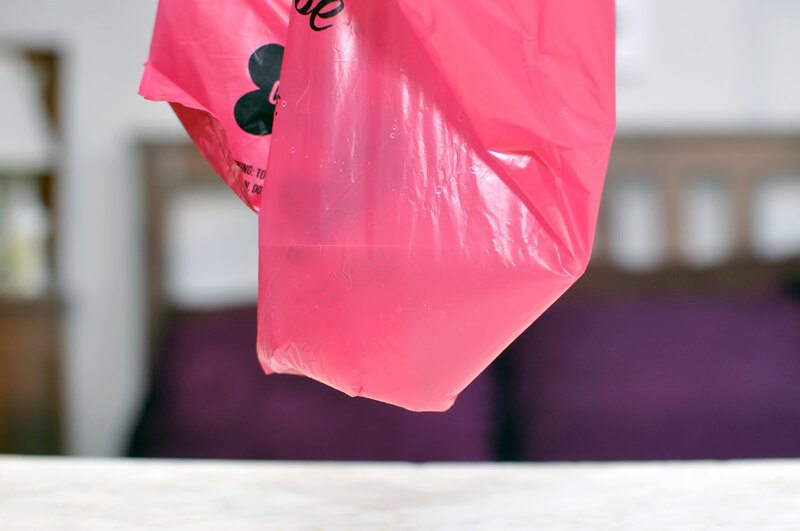 I can’t stand leaky poop bags, so I scooped a glass of water into one of my Gemma Rose Project bags. It held like a DAM. Well, better than a dam, since dams sometimes leak. This bag didn’t. Two (clean, not poopy) thumbs up from me! Each 120-bag box currently costs $8.99, plus $1.50 shipping. This works out to $0.08-$0.09 a bag. Although this may cost more than other options on the market, you can feel great knowing that you are making a smaller environmental impact and helping homeless pups. Priceless! 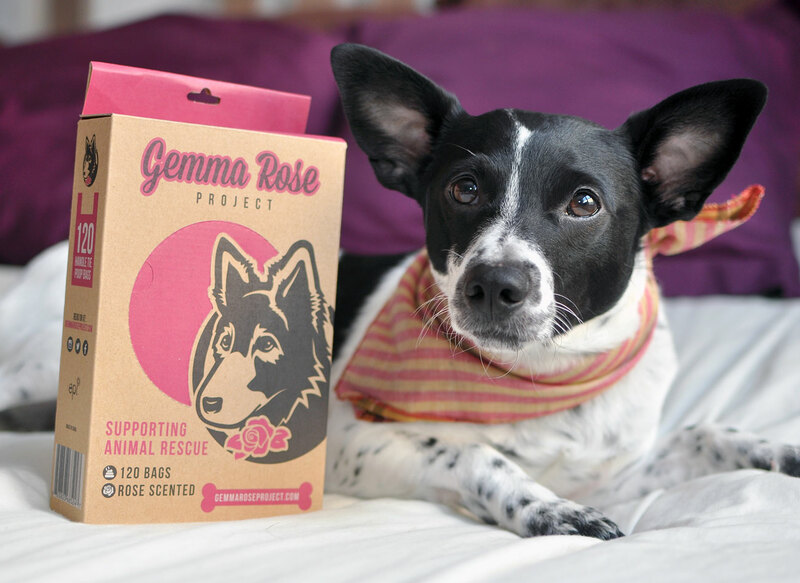 All the cool pups love Gemma Rose Project! 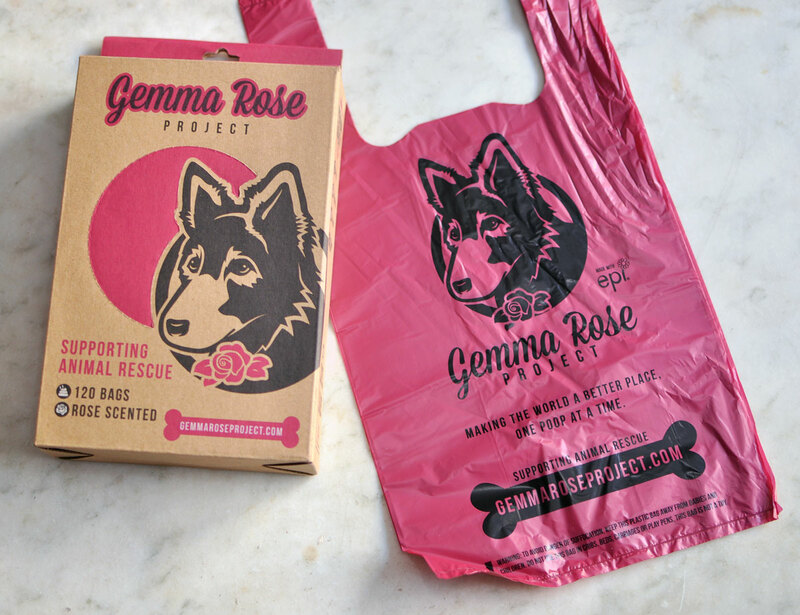 You can buy these excellent poop bags from the Gemma Rose Project website, where you have the option to purchase a single box or to subscribe to a plan. Subscriptions ship every month, every other month, or every four months (your choice!). These subscription options can help you save money on shipping and create a recurring revenue stream for the Gemma Rose Project that will help them donate to more rescues! Based on two poops a day, one box should last about two months for a single dog. Check out the Gemma Rose Project at their website, on Facebook, and on Instagram! Hmm, dogs and cats aren’t so different….our humans have to deal with our poop no matter the species. This is a great idea! Nice to know how thoroughly leak-proof they are. With bags, I consider how easy they are to open! These are also super easy to open! I love it! I love the sound of these as I do feel guilty if I use grocery bags plus they are huge for little Kilo the Pug who goes twice a day or more a little each time. I had nice eco-friendly ones on a roll but they were a nightmare to open – just awful at night in below freezing weather struggling away. Love that they support rescues and the environment. Biodegraeable poor bags – now these should be a legal requirement!! I mean relly! How much mor ecologically conscious do you want to be – these are a brilliant idea. If evry dog owner doesn’t convert to these – they are crazy!!! Gemma Rose Project sounds like a great company with an awesome product. I’m impressed that it held the water. I’ve had more than my fair share of poop bags that split when I open them. These bags sound great! I can only imagine how gross it is when you have a poop bag that leaks. Yuck! These sound so much nicer. If I can ever get my cats to walk on a leash, I will have to give these a try. I love that they give back to homeless dogs. Loving the sound of these!